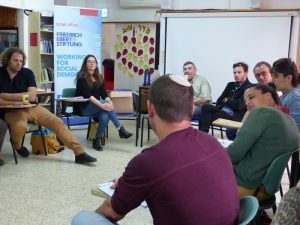 On November 21, 2018, the third meeting of the new EMDA course (English: standpoint) took place at Kibbutz Holit, in the western Negev region. 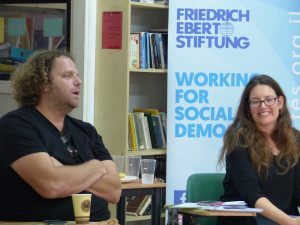 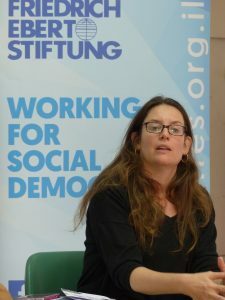 The Friedrich-Ebert-Stiftung conducts the course in cooperation with Beit Yigal Alon, the World Zionist Organization and the Shalom Hartman Institute. 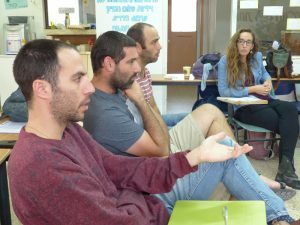 The course, guided by Avi Zaira and Adi Apel-Tal, addresses young tutors of pre-army and leadership academies, which young Israelis often visit after they finish school but before they start their military service. 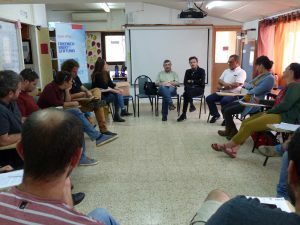 It consists of two-day workshop and 10 one-day-meetings, which are spread over eight months from October 2018 until June 2019. 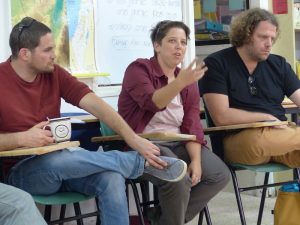 The 17 participants, who teach in different academies, will not only improve their pedagogic skills but furthermore discuss specific contents regarding the Israeli society, particularly the Jewish-Arab relations, social justice and gender equality in Israel.